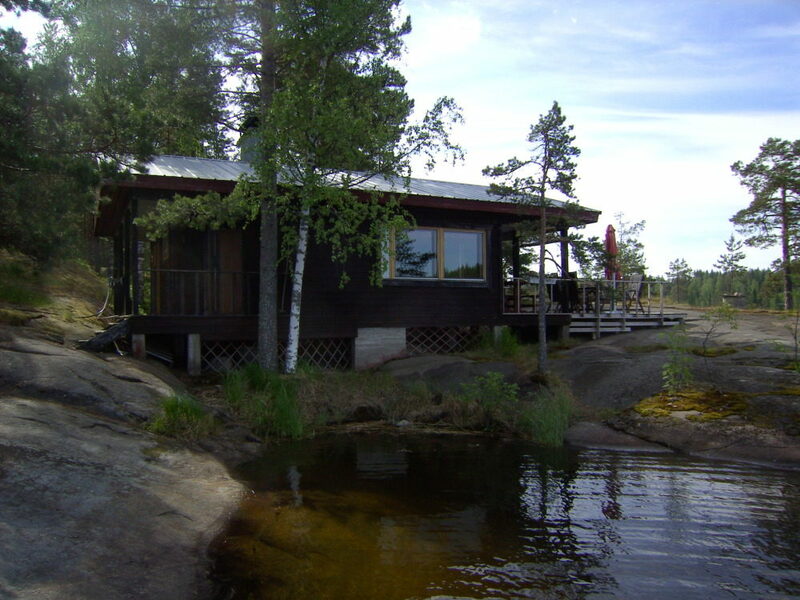 P006 Lemi, Lake Saimaa island, 2-6 pers. In Lemi, on an island, 18 km from Lappeenranta. Lake Saimaa 10 m, shallow sandy/rocky shore. 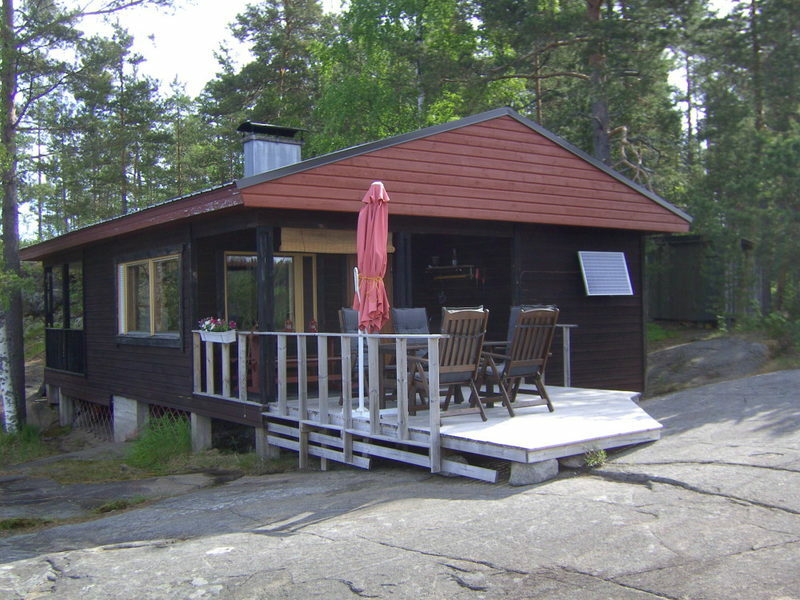 Timber cabin, built 1982. Two bedrooms and extra bed for 2. 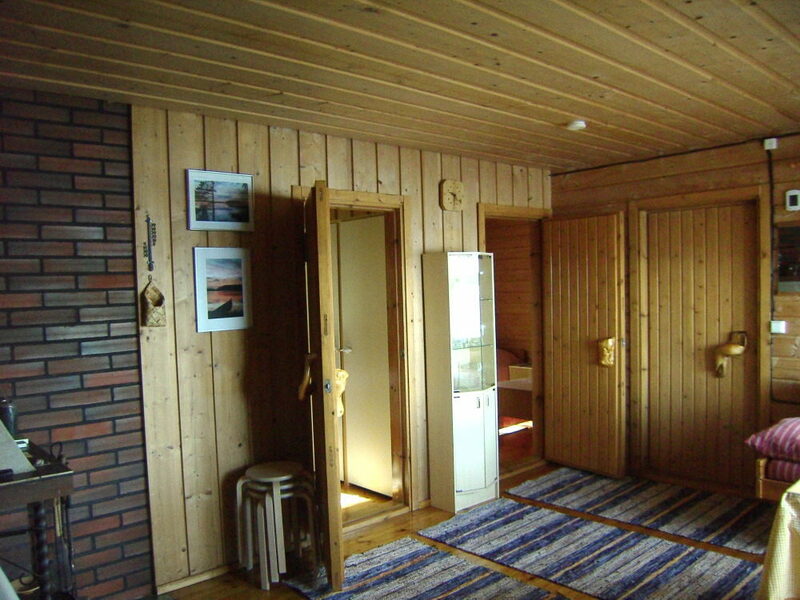 Refrigerator, gas stove, open fireplace, wood-burning stove,drain, electric light by solar power, well 150 m.
Privy. 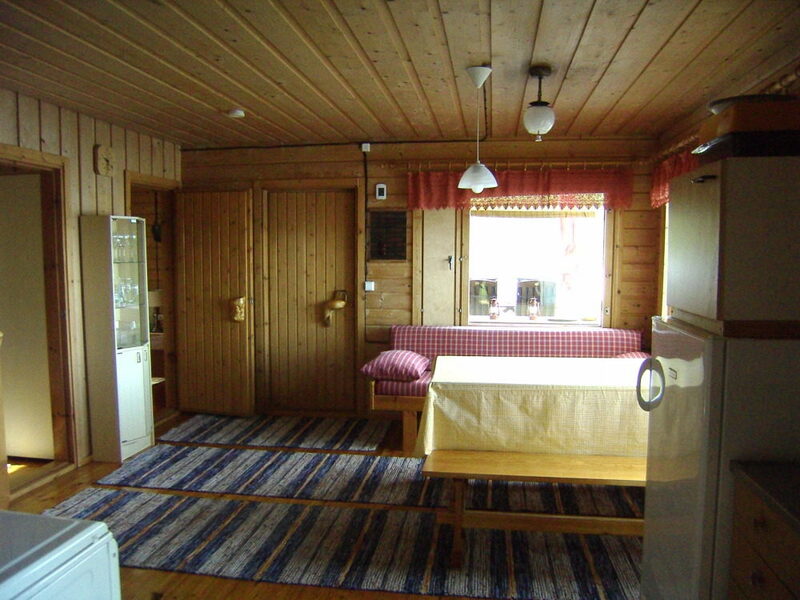 Nearest neighbour 150 m, shop 3 km, restaurant 12 km. Drinking water must be brought. Situated alone on an island with cottage P007. By boat waterway 500 m. Outdoor grill. Parking 500 m away on mainland. Small outrboard motor for rent 50 €/week + gas.